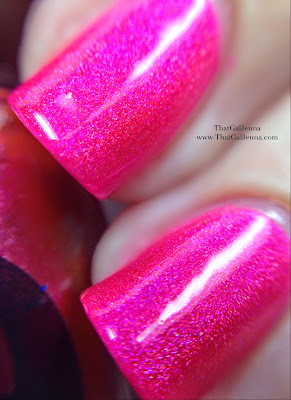 ThatGalJenna: Bear Pawlish Review and Swatches - Peek A Boo! Bear Pawlish Review and Swatches - Peek A Boo! I'm sorry my Things I Fancy Friday posts have been MIA. You'd think with me being job-less I would have all the time in the world to type up five posts a week but it doesn't seem to be happening that way! I'm feeling down and out about not having any job prospects yet but I'm trying to stay positive and keep my nose to the grindstone. In the 11 years since I graduated high school I've always worked full time in good ol' corporate America. So needless to say...this lapse of work...kinda stings. But on to brighter things...literally. If you're in polish groups on Facebook you've probably seen this stunner around. 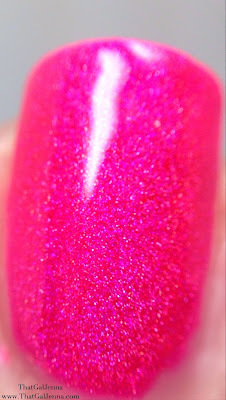 Today I have a blindingly bright pink from Bear Pawlish to share with you. So let's get to it! Oh come on. 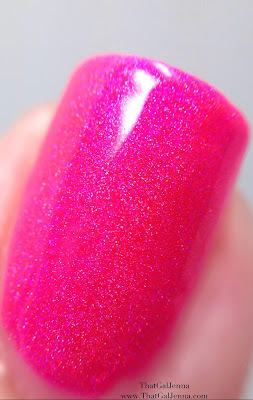 It's almost silly to have fill out this section because of how intense this polish is! Really even more so in person. Your nails will NOT go unnoticed because they will be fierce as hell! 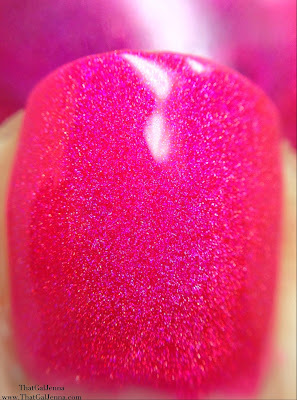 The blue/purple that hints in the holo of this beauty really makes this pink even more special than all the rest. Bright and bold and absolutely beautiful! So I'm a super buzz kill before this sold out in the last restock but I do believe Bear Pawlish will be restocking again this week possibly. Make sure to follow the Facebook page for BP so you are in the know!